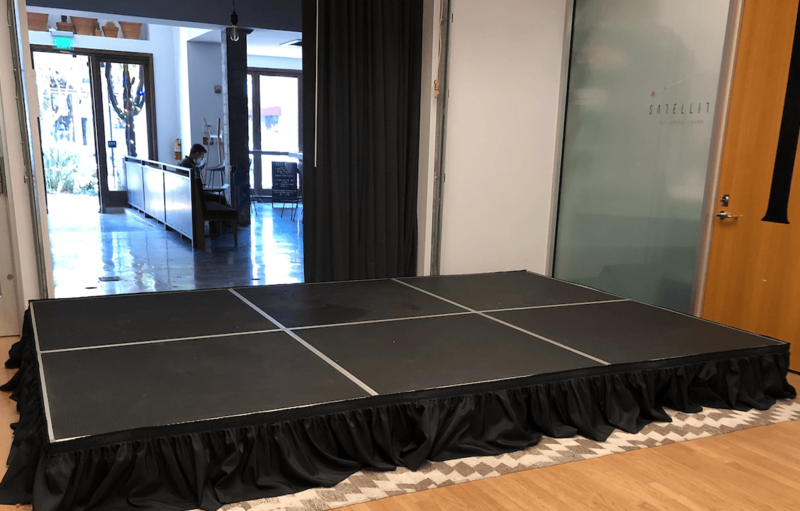 Portable Stage rental for all event types. 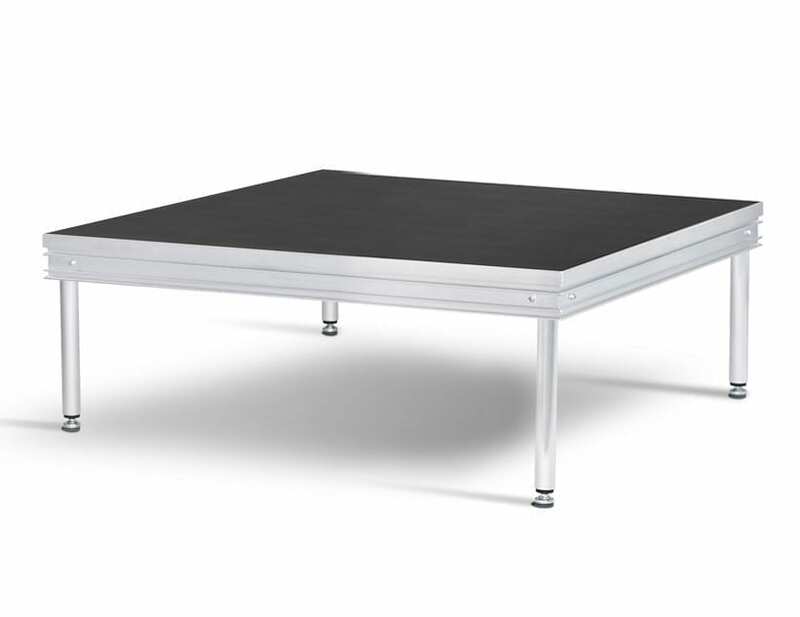 Mobile stages come in a variety of sizes and 2 heights (12″ and 24″). Staging is ideal for bands, performers, fashion runways and speeches. Smaller stages can be used as risers for one speaker, or to lift a section of seating to a higher level. 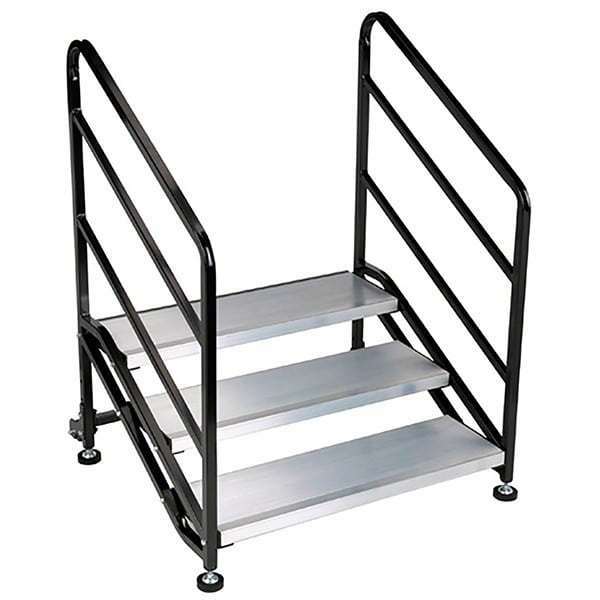 For the 24″ stage rental you will need stairs to access the stage safely. 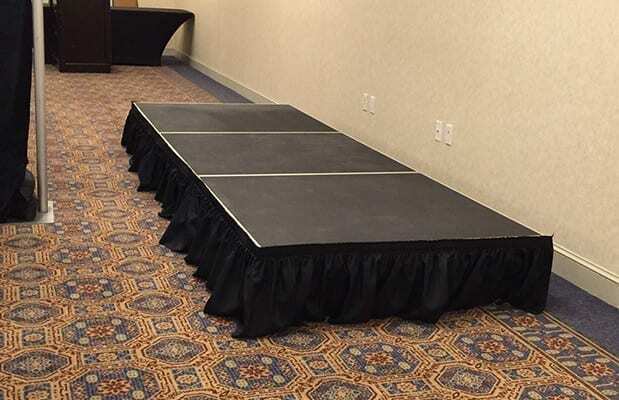 Having a wedding and need risers for your ceremony, this product is for you. Easily cover the risers with carpet, drape, or other decor ideas. We also rent stage skirts and stairs. Please select the stage size and an actual price will be provided on your event quote. Or you may always call our office for a quote. *We do not allow self installation of our stage.